The house was built of brick with Bath stone quoins and dressings and heavy lead roofing, in the modified form of the French chateau style, with three lofty towers and fine conservatory. 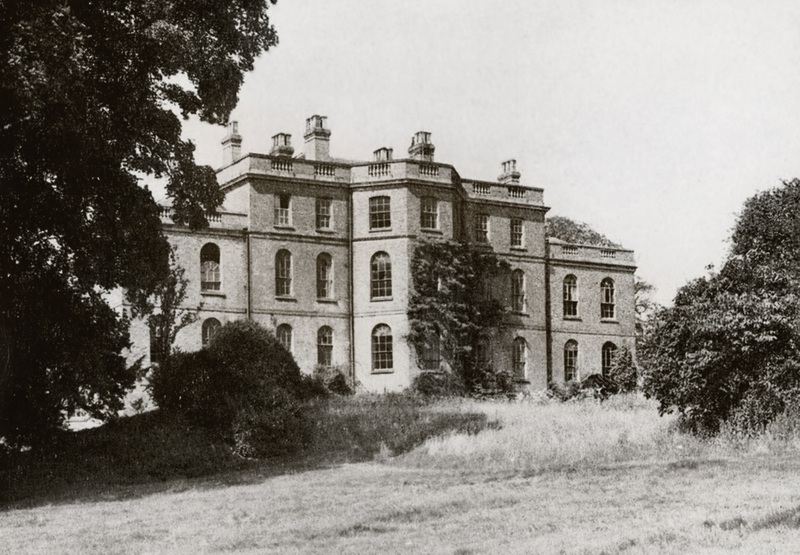 Addington Manor was built by Philip Charles Hardwick (1822-1892) between 1856 and 1857. He was best known for designing the Doric Arch and Great Hall at Euston Station as well as the Great Western Hotel at Paddington Station. Addington Manor was built for John Gellibrand Hubbard (1805-1889), City of London financier and Conservative politician, who had purchased the estate in 1854. He would later become the 1st Baron Addington in 1887. Round the great central tower were inscribed the words “Except the Lord build the house their labour is but lost that build it. Anno Domini 1857”. Over the library window, amid decorations of vine foliage and fruit, were the words “Dei Donum”. The third storey windows on the south and west sides of the mansion were crowned with the initials in monogram of the Lord and Lady Adlington (John Gellibrand Hubbard and the Hon Maria Margaret Hubbard), while on the north and south fronts of the building were to be seen the family crest and motto “Alta Petens”. The decorator of the ceilings was Owen Jones, the beautiful ceiling of the oak hall being an exact copy of that in an older Addington Manor. 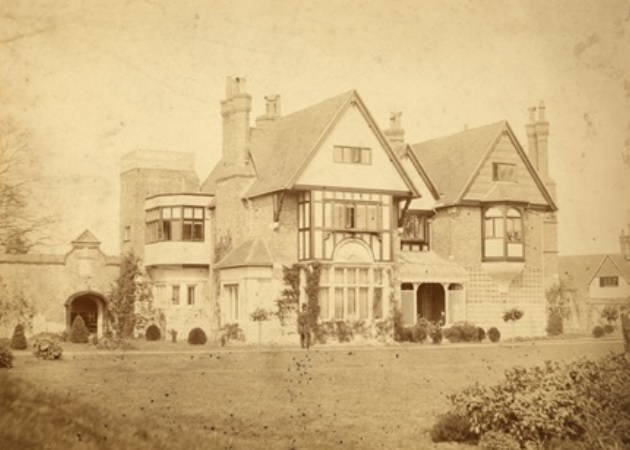 The family moved into Addington Manor in December 1858 and entertained many distinguished visitors , including the HRH the Duke of Connaught, the Princess Victoria Louise, Bishop Wilberforce, members of the Gladstone family and many prominent leaders of both Houses of Parliament. The 2nd Baron Addington died in 1915 and during the First World War the house was let as a school. In later years the house was occupied by Mrs Lawson-Johnston and family. After this the building was used as a guest house and hotel under the successive occupation of Mrs Hocker and Mr Gordon Holmes. 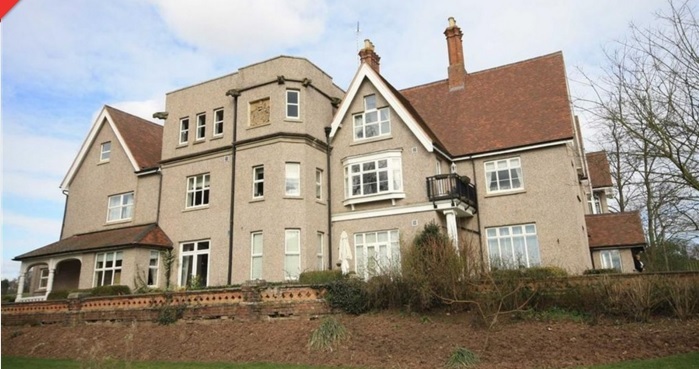 It was sold to Mr C B Smith-Bingham in 1926 who lived at the adjoining Addington House. He demolished the house in 1928 appointing Mr F H Clark of London and Coventry to oversee the work. An auction sale to dispose of fittings and materials was held in June 1928 with a further auction a month later. Smith-Bingham turned to architect Michael Theodore Waterhouse (1889-1968) to replace the house with a smaller neo-Classical house (pictured below). This became a residence for the Czechoslovak Military Intelligence staff and their families during World War Two. 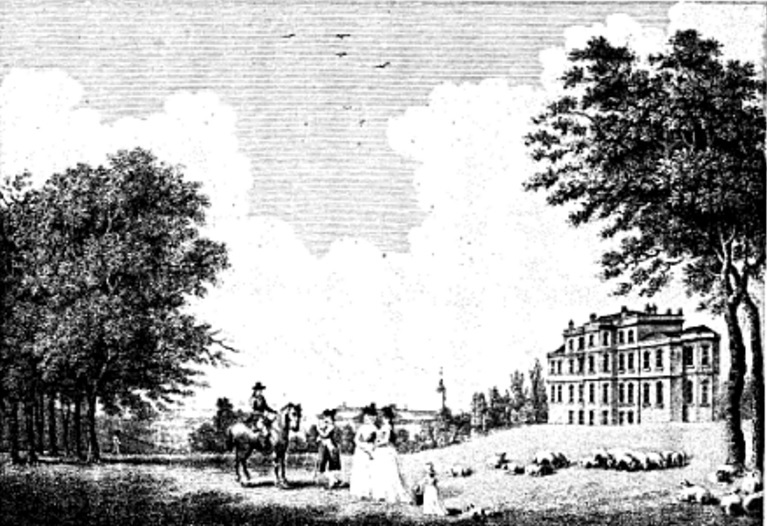 The house was eventually sold to Lord Inchcape who founded the Addington Manor Equestrian Centre on the estate. Built 1865. Rebuilt in 1870. Demolished in 1926. 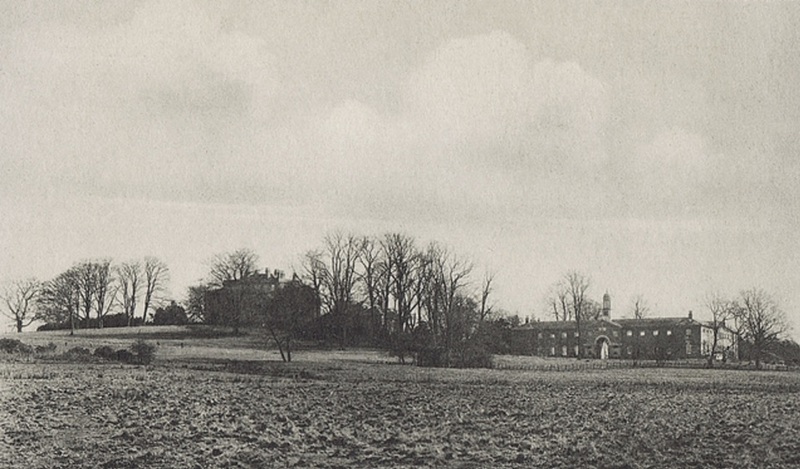 Coombe Warren, demolished 1926, stood on land that was once owned by the Duke of Cambridge. When the Duke proceeded to sell up parcels of the land it was the rich and noble that proved to be eager buyers. Between them they created a number of grand houses and country estates on a pleasant Surrey hillside. 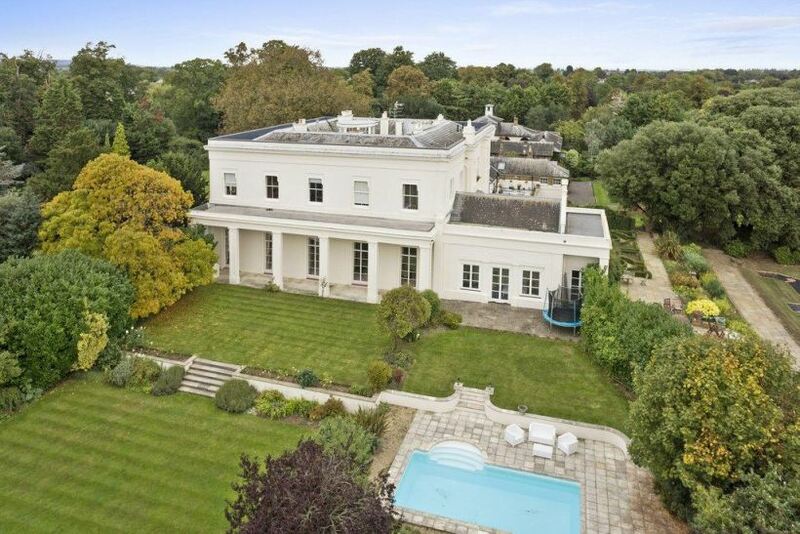 Today, with these estates further split, the land on Coombe Park private estate is still regarded as one of the most affluent parts of London. 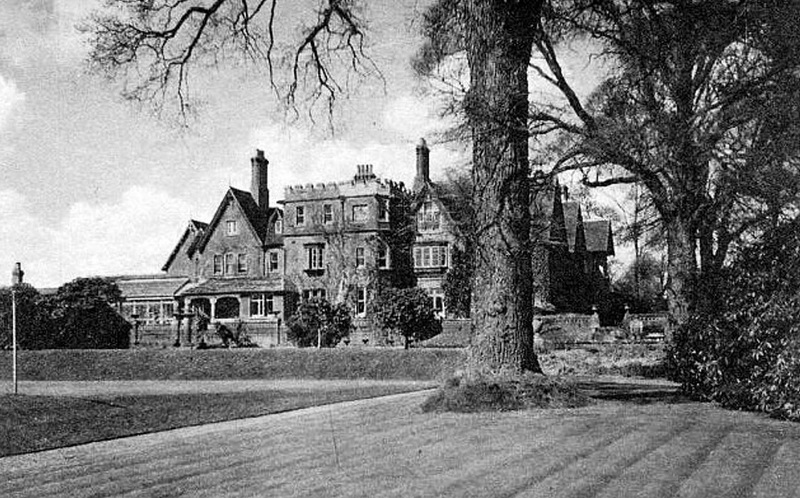 Coombe Warren was built by architect George Devey in 1865 for Bertram Wodehouse Currie (1827-1896). Bertram Currie was the second son of Raikes Currie of Minley Manor in Hampshire. 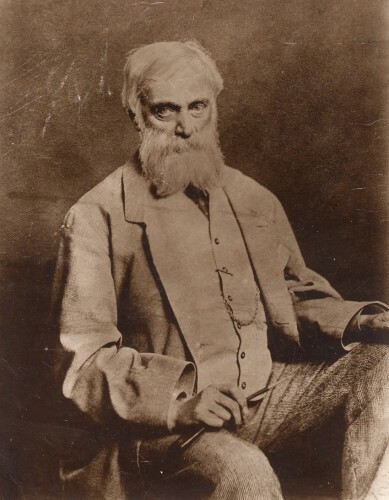 He had entered his father’s banking business which in 1864 was amalgamated with the firm of Glyn, Mills and Company to become Glyn, Mills, Currie and Company. Currie’s increase in wealth and status meant he was able to invest his money in a new home suitable for a man of his position. 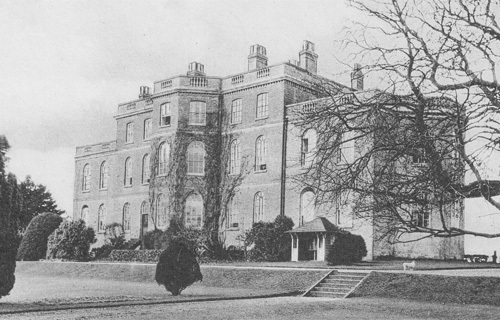 He turned to George Devey to build a mansion in which he and his wife Caroline, daughter of Sir William Lawrence Young 4th Baronet, could live in comfort. His joy in the new house would be short-lived. In 1870 a series of disasters befell the Currie family. 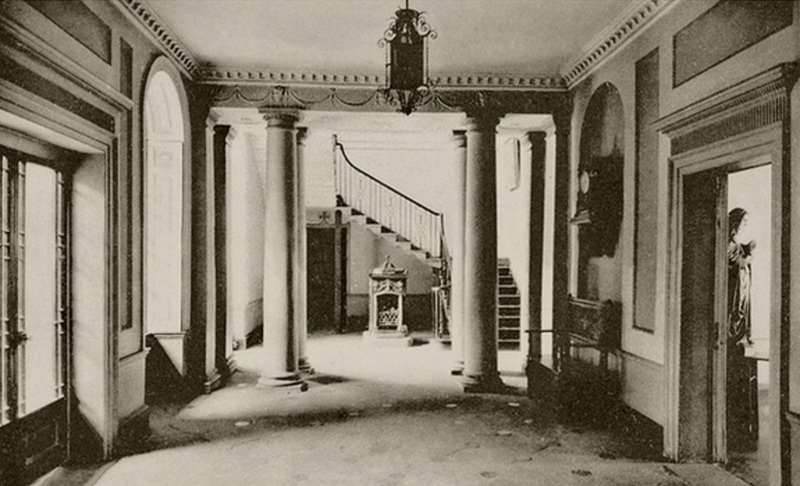 In January a fire destroyed the south portion of his father’s house at Minley Manor. A few weeks later a similar fate occurred at Coombe Warren. On a Saturday night a fire was discovered in a room near the kitchen. The Kingston Fire Brigade were called but were hampered by a limited supply of water. It was two hours after the fire started that water was put on the blaze. In the interim the fire brigade attempted to cut off communication between the main house and a new wing that had just been built. The Surrey Comet reported that ‘the family being away, there was no one to authorise the breaking of the windows so as to get out the valuable paintings, choice old china, and articles of vertu with which the residence abounded’. 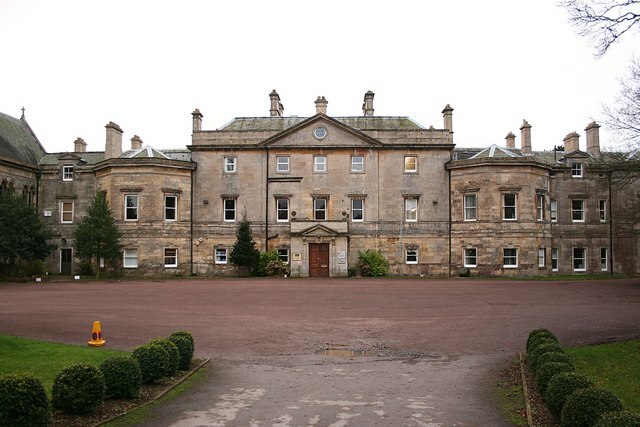 With a pay out from the Sun fire office Bertram Currie asked George Devey to build a replacement mansion. The house of 1870 was rebuilt on a much bigger scale, and to a somewhat different design. 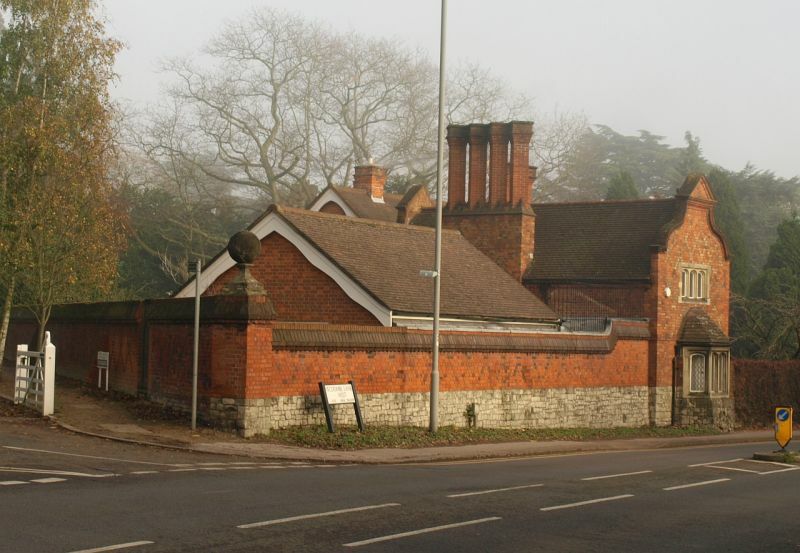 The house was located in the triangle between modern-day Coombe Lane, Beverley Lane and Coombe Hill Road. Mark Girouard said it was one of Devey’s “most elaborate and best-known houses, in a mixture of stone, brick, plaster and half-timbering, with numerous shaped brick gables of Betteshanger type. The house had large formal gardens with orangery and a temple to William Ewart Gladstone. The Prime Minister was a frequent visitor to Coombe Warren and spent long spells as the guest of Bertram Currie. The house was once used for a cabinet meeting when Gladstone was ‘temporarily disposed’. Before we close the door on Bertram we must record his banking achievement. In 1885 Currie persuaded his bank to form a joint stock company with unlimited liability and became the first of the private banks to ever publish its balance sheet. However, his greatest achievement was in 1890, on the occasion of the famous Barings crisis. Currie was selected for his known friendship of his neighbour, Edward Baring, 1st Baron Revelstoke. 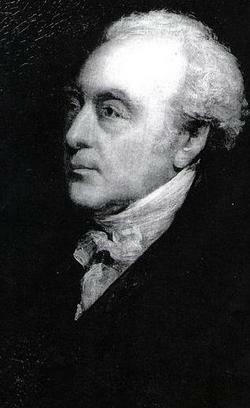 At the insistence of William Lidderdale, the Governor of the Bank of England, Currie worked with Benjamin Buck Greene to negotiate a solution to the banking crisis. Between them they persuaded the directors of the bank to undertake the liquidation of their estate on the security of a guarantee to be obtained from the bankers of London. Barings Bank headed this guarantee fund with £1,000,000 and Currie followed with £500,000 from his own bank. During one famous day, November 14th 1890, the private banks, including the Rothchilds, contributed an amount totalling £3,500,000 and, with the assistance of joint stock banks and county banks, the total eventually rose to £18,000,000. Currie had been instrumental in saving the British banking system. In 1895 Currie developed cancer of the tongue which spread to the glands of his neck. He died a year later at his house at Richmond Terrace in Whitehall. The house was sold by Bertram Currie’s grandson and redeveloped in 1926. The main house was demolished and only the garden walls and lodge survive today. The estate itself was sold off in smaller parcels of land and many houses in the area today can still boast structural remnants from Coombe Warren in their gardens. The adjacent Coombe House (previously Coombe Cottage) of about 1863, with additions of 1870-1874, still survives. 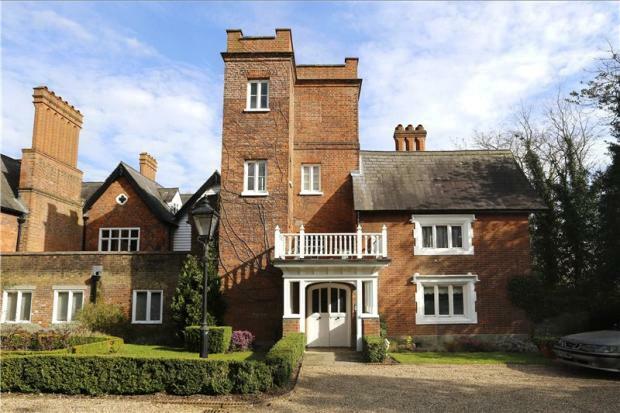 This was built for Currie’s neighbour Edward C. Baring (later Lord Revelstoke) of Baring’s Bank, with a tower and gables of different sizes. 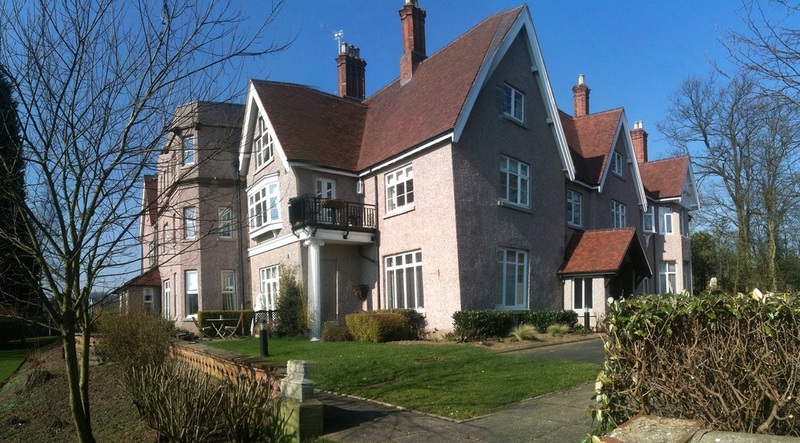 Coombe Cottage was far from ‘cottagey’ boasting 60 bedrooms. Queen Victoria visited and on occasions stayed as the guest of Edward Baring and of the widowed Empress Eugenie whilst a resident during part of 1881 – 1882. Dame Nellie Melba, a famous operatic soprano but perhaps more famous for having the dish ‘Peach Melba’ named after her, lived at Coombe Cottage in 1906. When there was a threat of a railway being built nearby it was sold to the rail company but the line was never built. The house later became Rediffusion Engineering and is now split into apartments. 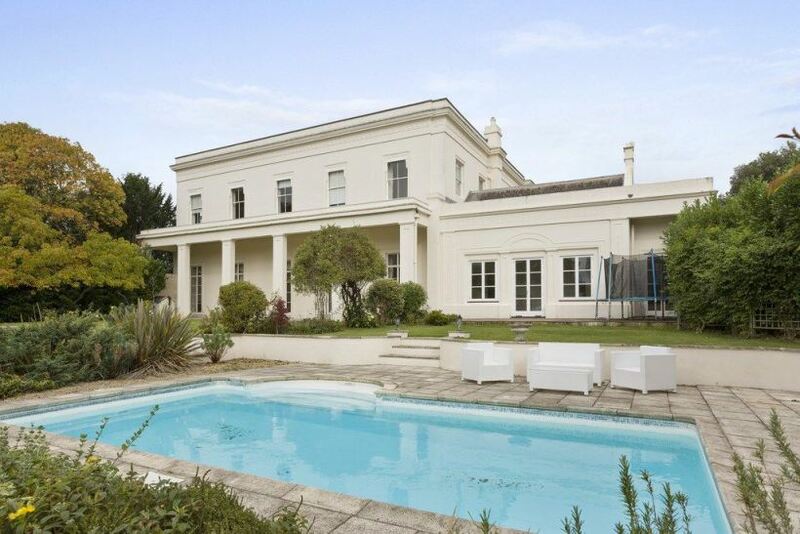 Nearby Warren House on Warren Road was built in the 1860s by George Mansfield for the banker Hugh Hammersley. 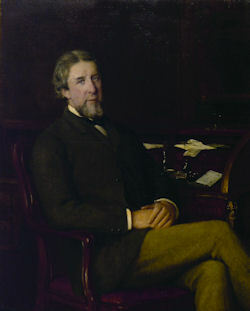 George Grenfell Glyn (1824-1887), the second Baron Wolverton, and a partner in Glyn, Mills, Currie and Co, bought the house and land in 1884 and commissioned George Devey to make large additions to the house and gardens. Wolverton served in all three of Gladstone’s Liberal governments and regularly entertained him at Warren House. Built around 1720. Demolished 1964. Panton Hall, the seat of Edmund Turnor esq. MA., D.L., J.P. lord of the manor and principal landowner, is a handsome mansion of white brick, situated on a finely wooded eminence, and surrounded by a beautifully undulating and park-like country. Panton Hall, near Wragby, was one of those magnificent country houses lost simply because the owners could not afford its upkeep. The house was built around 1720 by the Gace family on an elevation with faraway views of the Lincolnshire Wolds. Joseph Gace, Receiver of the Land Tax for Lindsey, had asked William Talman (1650-1719) to design the house. However, the death of Talman in 1719 ended his association with the house. Just how far he had got with his plans is uncertain but a copy of the design is believed to have existed until the 1950s and is presumed lost or simply mislaid. 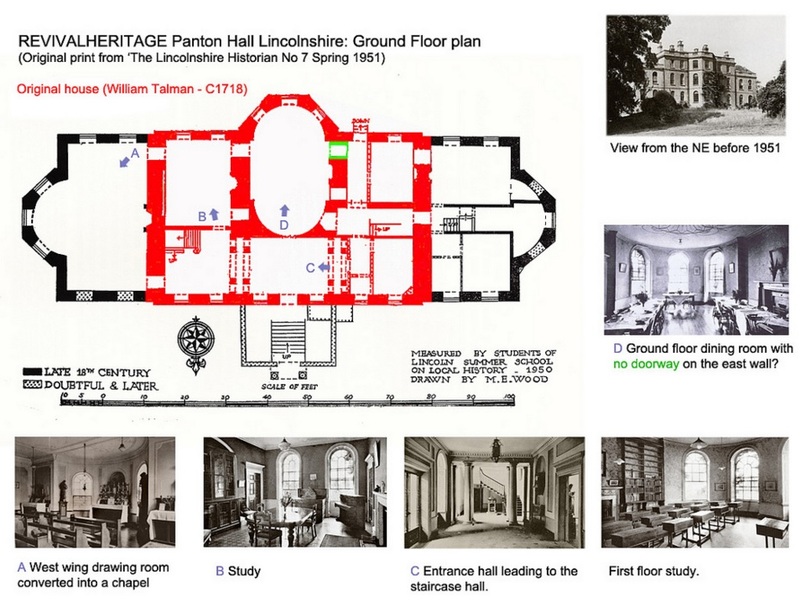 It was left to Nicholas Hawksmoor (1661-1736) to complete the task but just how much was down to Talman’s blueprint is ambiguous as building work was already underway during 1719. Hawksmoor was an able replacement. He studied under John Vanbrugh who had employed him at Castle Howard and Blenheim Palace. The three-storey house with a front canted bay was completed in 1727¹. The completion of the house might just have been the start of Gace’s problems. It undoubtedly cost a lot of money and, through bad debt, would eventually lose control of his estates including Panton Hall. In 1742 the house passed to Gace’s son-in-law, Carr Brackenbury (1714-1763), who owned the house until his death². His trustees transferred ownership of the house to Sir Jacob Wolff (1740-1809) in 1767. He was the son of Baron Godfrey Wolff of Moscow and had married Anne, the only daughter of the Right Hon. 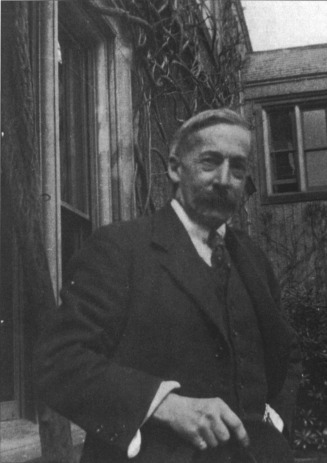 Edward Weston of Somersby Hall, the Secretary of State for Ireland, a year earlier. His intention may have been to make Panton Hall a family home but history suggests he spent little time there and did little for its upkeep. By the end of his six year stay the house was in a state of disrepair¹. Panton House. From The Seats and Nobility and Gentry in Great Britain and Wales in a Collection of Select Views. 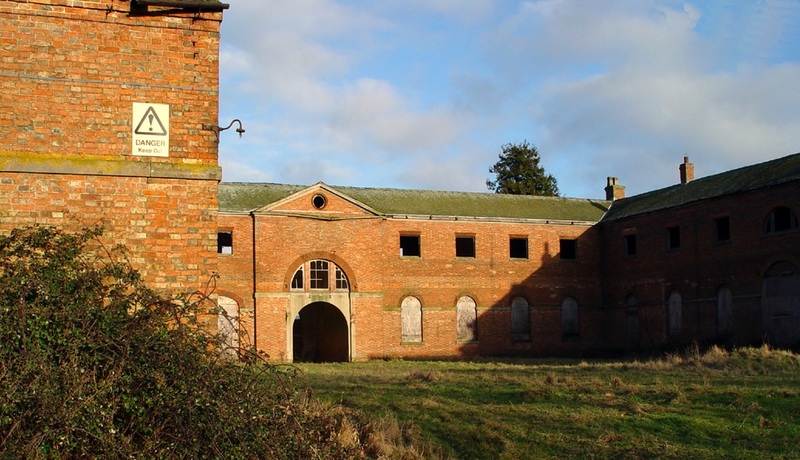 The house was rescued by one of Lincolnshire’s largest landowning families. 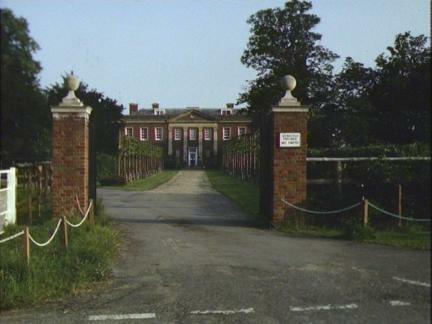 The Turnor family had built up their estates over generations and had added the manor of Panton in 1687. Their family seat was Stoke Rochford Hall, near Grantham, where Edmund Turnor lived until 1769 but this is understood to have burned down by the time of his death³. The new heir was his son, Edmund Turnor (1715-1805), who had married Mary, daughter of John Disney of Swinderby and Lincoln, in 1753. He lived at Kirmond le Mire and bought the manor of Stixwould in 1771³. The house at Stoke Rochford was inhabitable and he required a house grand enough to match his wealth. In 1773 he bought Panton Hall for £6,150 and planned to make it his new home. Turnor remained at Kirmond le Mire while renovations took place³ but had to invest significant amounts of money to make it grand enough to live in. By 1775 he had appointed John Carr of York (1723-1807) to make alterations to the property including the addition of side wings. This reconstruction of the house would be his obsession that lasted until his death in 1805. In John Carr’s reconstruction there were nine principal bedrooms and on the ground floor several spacious reception rooms. To save space most of the servants’ quarters were relocated to the basement³. There has been much debate as to how much work John Carr carried out on the house. William Angus wrote in his ‘Select View of Seats’ in 1787 that the house was late 18th century with no trace of an earlier work⁴ Howard Colvin, the author of ‘A Biographical Dictionary of English Architects 1660-1840’ was in agreement and thought that the house had been completely rebuilt and only some early 18th century panelling re-used in one of the smaller rooms³. Following Edmund Turnor’s death he was succeeded by his son, another Edmund Turnor (1755-1829). He was an MP for Midhurst, an antiquarian and author of ‘Collections for the History of the Town and Soke of Grantham Containing Authentic Memoirs of Sir Isaac Newton’. He married twice. His first wife was Elizabeth Broke and then Dorothea Tucker. Turnor was a keen traveller in France, Switzerland and Italy and became a fellow of the Society of Antiquaries in 1779 and a fellow of the Royal Society in 1786³. By 1817 Turnor was turning his attention towards Stoke Rochford and plans were afoot for a new house to be built there. These plans would be implemented by his son Christopher Turnor (1809-1886) who inherited the estates on his father’s death in 1829. He preferred Stoke Rochford and built the new house between 1841 and 1845. This grand new house would become his home and Panton Hall was left to deteriorate. However, in 1847 newspapers were reporting that Mrs Leeke, of the Sycamore, in Louth, had rented Panton Hall to use as a finishing school. The house was thoroughly repaired and Mrs Leeke and her pupils moved in during April. 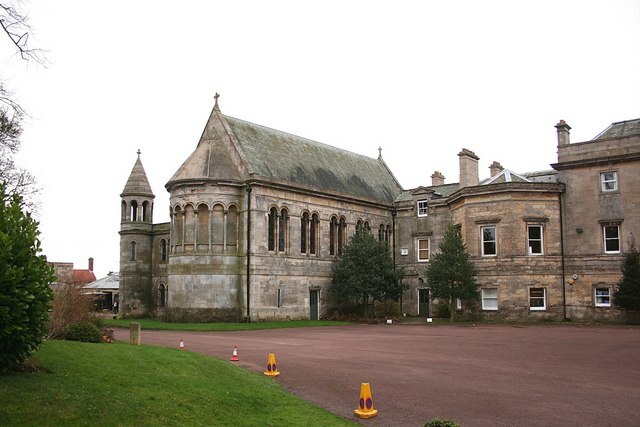 The school lasted until October 1866 and the following year Panton Hall was back in the hands of the Turnor family. 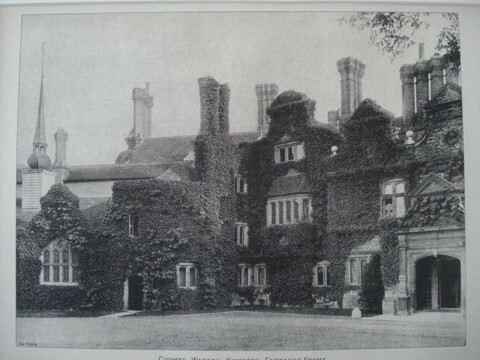 Christopher Turnor’s son, yet another Edmund Turnor (1838-1903), was using the house as his home while his father preferred Stoke Rochford. Christopher Turnor died in 1886. Edmund, had married Lady Mary Katherine Gordon (1840-1930), the daughter of the Marquis of Huntly and sister of the Countess of Ancaster, in 1866 and now made Panton Hall his home. Edmund was M.P. for South Lincolnshire as well as being a J.P. and High Sheriff of Lincolnshire in 1894. He was a practical agriculturalist and participated on numerous farming bodies. He was a distinguished landowner and much liked by his tenants. According to the Nottingham Evening Post, who reported his death in 1903, “he would make himself acquainted with the grievance of his smallest tenant, and would use his knowledge and experience to attain a satisfactory solution of the cause”. Turnor met an unfortunate end while shooting with Mr Montagu Waldo-Sibthorpe, at Hatton, near Wragby, where he suddenly collapsed and died in 1903. The Turnor estates passed to a nephew, Christopher Hatton Turnor (1873-1940). He was educated at Oxford and studied agriculture at Cirencester as well as being a trained architect. He took up residence at Stoke Rochford Hall in 1907 following his marriage to Sarah Marie Talbot Carpenter, the only daughter of Admiral the Hon W.C. Carpenter of Kiplin Hall in Yorkshire. His interests lie chiefly in agriculture and rural education but he still managed to write a number of books on land and food problems. Turnor applied his knowledge to the study of agriculture on scientific lines and managed to combine theory and practice most effectively on the estate. Panton Hall had continued to be the home of Lady Mary Katherine Turnor following her husband’s death in 1903. However, times were changing for the aristocracy and the cost of upkeep for large estates was rising. The Turnor family also owed significant death duties and in 1911 the freehold estates of Stixwould and Wispington went up for auction. Panton Hall, including its pleasure grounds, stables, kitchen garden, entrance lodge, woodlands and Grove Farm, were sold for £15,000. The purchaser was Mr George Keeble, an ex-mayor of Peterborough, who had experience of buying country houses. 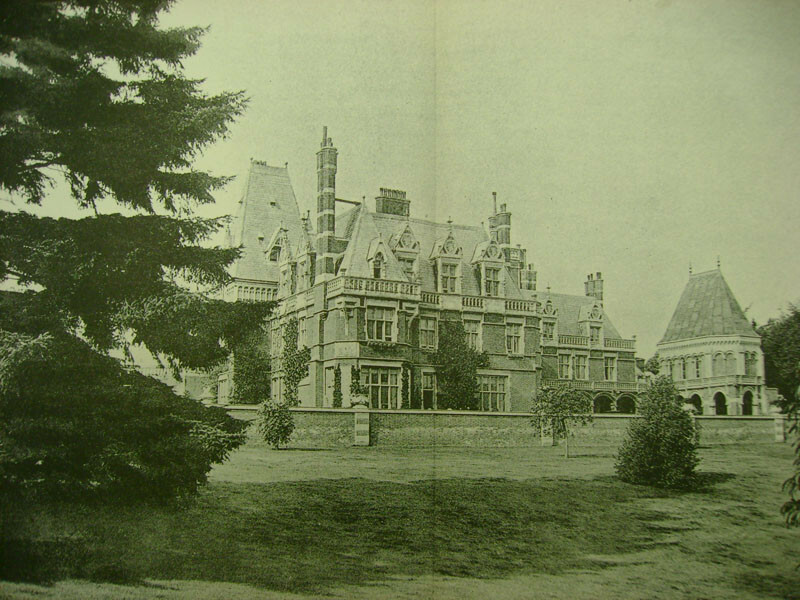 In 1912 he had bought Finedon Hall in Northamptonshire but had quickly sold it on. The sale of the entire Panton estate raised over£136, 000⁷. The purpose of George Keeble’s purchase remains a mystery. He clearly had no intentions of moving in and Lady Mary was still in residence in 1918. 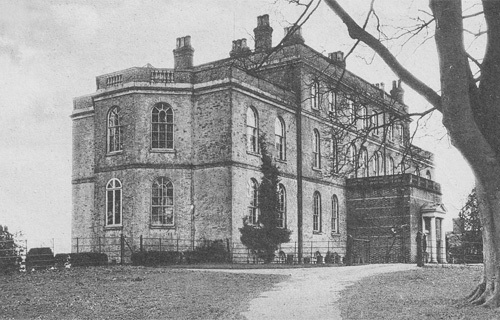 In March 1919 the Grantham Journal reported the sale of surplus household furniture by Lady Mary and by December it was announced that a party of monks from Oxford had taken over Panton Hall. By this time the ownership of the house had passed to Thomas Cecil Langham, a landowner and farmer, well known in the Grantham district, with farms at Stroxton, Little Ponton and Welby. However, Langham was a tormented man who was always nervous and afraid he was going to be ill. In 1924, suffering from a bout of insomnia and internal pains, and agonising over the closure of his Nottingham business, he committed suicide. 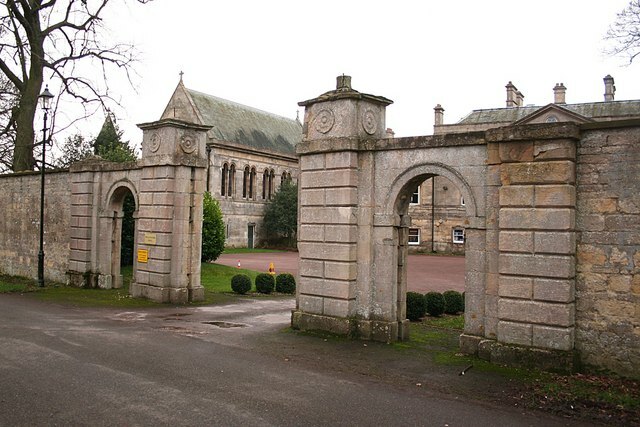 However, the monks were in residence at Panton Hall which had become a Franciscan Monastery and Roman Catholic School. In 1931 newspapers reported the construction of new cloisters that extended around the college quadrangle. It was anticipated that the fourth side of the quadrangle would eventually contain a chapel. The monks existed side by side with the college occupying the stables and the friars occupying the Georgian mansion⁸. 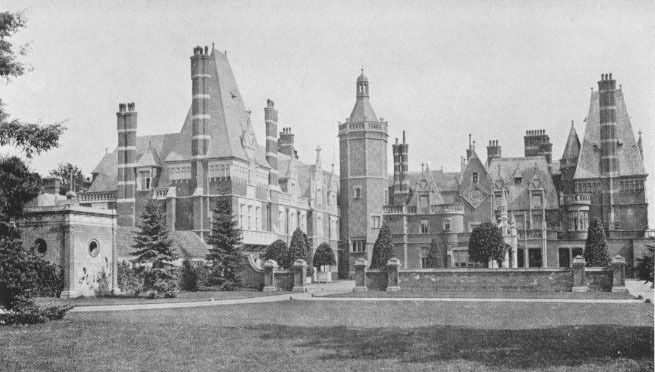 They remained until the 1930s before relocating to Kelham Hall near Newark. 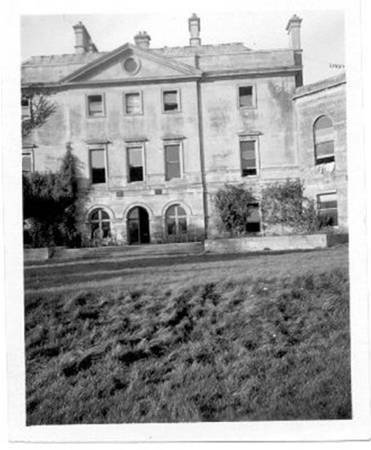 In May 1935 Panton Hall was bought privately by Sir John Denton Marsden, 1st Baronet, of Louth (1873-1944)⁹. 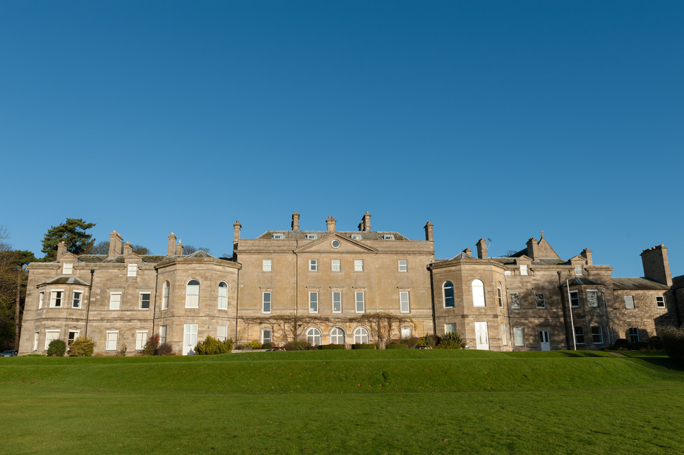 Most historians suggest Marsden bought Panton Hall from the Turnor family in 1917 and rented the house and stables as a monastery and college. However, newspaper reports from 1935 suggest this is incorrect. 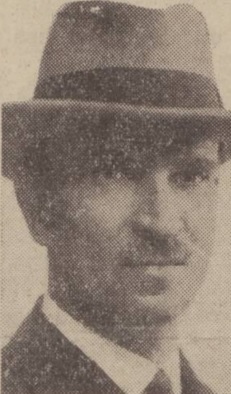 Marsden had been associated with the fishing industry since 1901 and was the Managing Director of the Consolidated Fisheries Limited, a prominent trawling firm, and President of the Trawler Owners’ Federation. He had married Agnes Mary Ronald in 1911. As well as being a prominent businessman he eventually became High Sheriff of Lincolnshire in 1942-1943. Marsden lived in part of the stables but newspaper reports from the time suggest the house was regularly used for social events. During World War Two the house was used by the army and by the time of John Denton Marsden’s death in 1944 the house was in poor condition. After the war it stood empty. The Panton Hall estate was offered for sale in 1946 but did not include the house. The Marsdens remained at Panton Hall until the early 1950s before moving to Thorpe Hall in Louth. Panton Hall crumbled away and one wing eventually fell down. In 1964 the house was demolished and the bricks were to be used elsewhere. However, such was the perilous state of the building the bricks disintegrated when exposed to the weather³. The only reminders today are the Grade II listed stables, built by William Legg in 1777, and the former kitchen garden now privately owned. According to the DiCamillo Companion plans were submitted in 2002 to rebuild the house but these came to nothing. 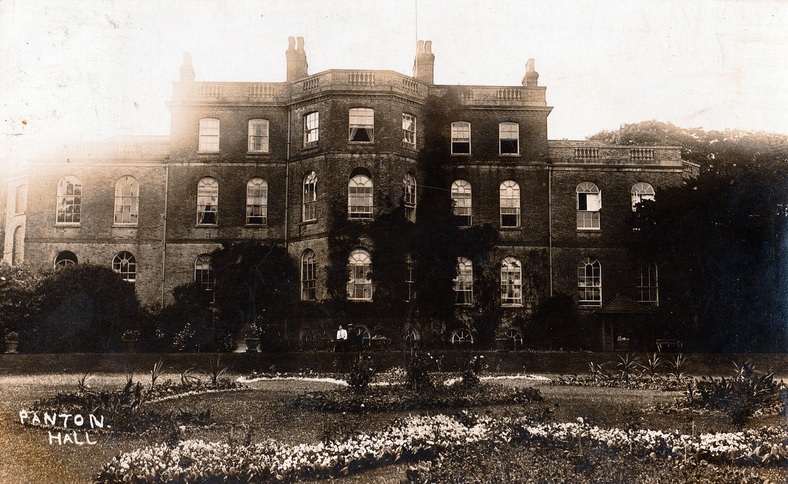 The story of Wootton Hall might be considered that of the ‘Ugly Duckling’ in reverse. Nowadays the Victorian mansion is called The Hayes and its appearance is a pitiful keepsake of former glories. The modest house was built in the late 1850s by Edward James King presumably for his own use. However, his death in 1860 meant it went to auction without ever being lived in. Along with it came 55 acres of rich pasture and meadow land in an idyllic rural location on the outskirts of Leek Wootton. Now called Green Hayes the purchaser was a Cheshire cotton broker called Carl Frederick Trepplin who lived there until 1882¹. 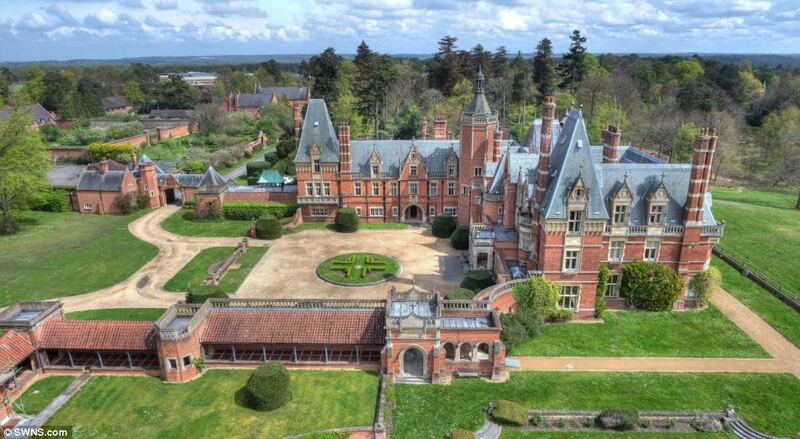 The house attracted the attention of Francis Beresford Wright (1838-1911) who had been the victim of his own success. He came from a wealthy family and was an iron and coal proprietor of the Butterley Company in Derbyshire. 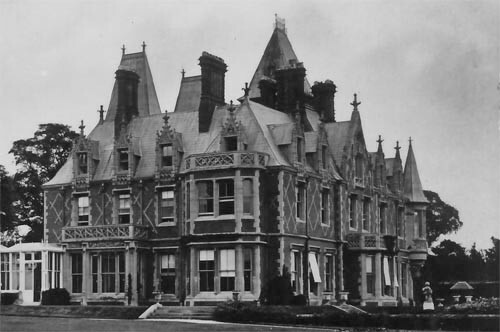 His family home, Aldercar Hall at Codnor, was under threat from encroaching industrial growth caused by his own company. At the height of the industrial revolution the nearby hamlets of Heanor and Langley Mill were also experiencing rapid growth and the rural idyll of Leek Wootton looked a more enticing prospect. Wright belonged to an extremely wealthy family and his father was Francis Wright of Osmaston Manor in Derby. Marriage to Adeline Frances Henrietta Fitzherbert, eldest daughter of Colonel Henry Fitzherbert of Somersall Herbert Hall, in 1862, further strengthened his financial security. Francis Beresford Wright renamed the house Wootton Court and made it the family home for the next 70 years. 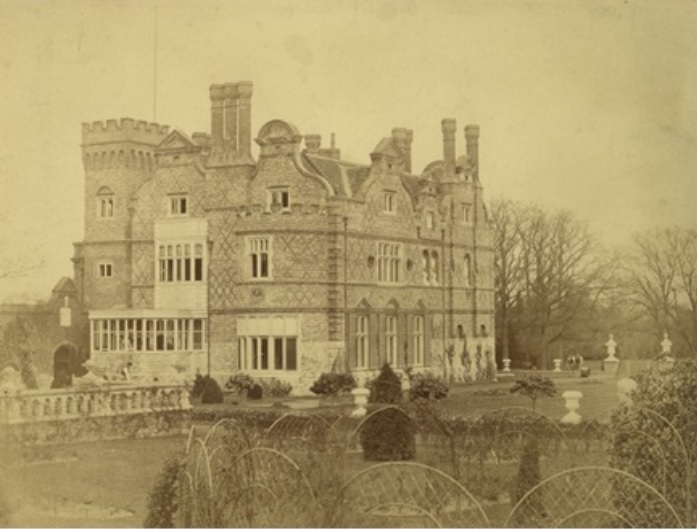 Much as he had done at Aldercar Hall he spent a fortune rebuilding and expanding the house as well as enlarging the lake and creating beautiful gardens and lawns. 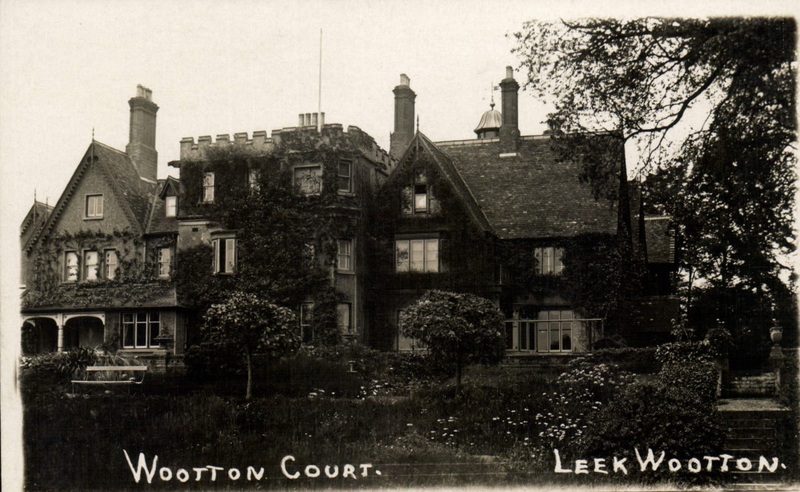 Wright died of a heart attack in 1911 and his widow would live at Wootton Court until her death in 1924. The house was inherited by their son, Arthur Fitzherbert Wright (1865-1952), who moved his family from Aldercar Hall and made a new life in the Warwickshire countryside. 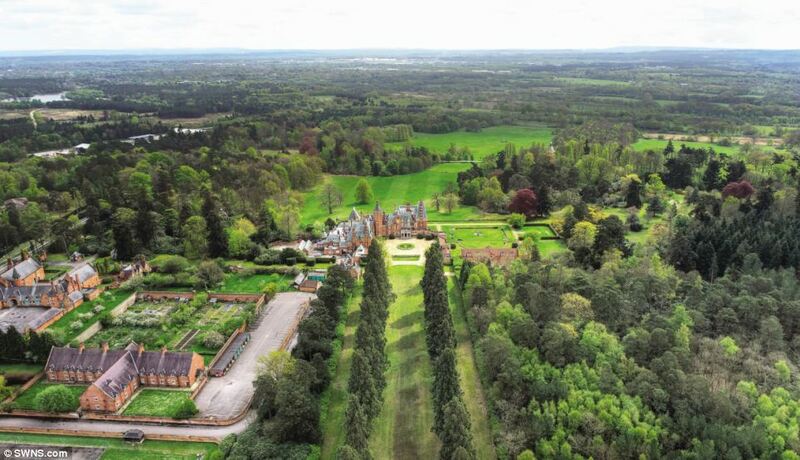 By 1990 the estate was known as the Wootton Court Country Club and was sold, along with Wootton Court Farm, with the former grounds identified as a golf course. 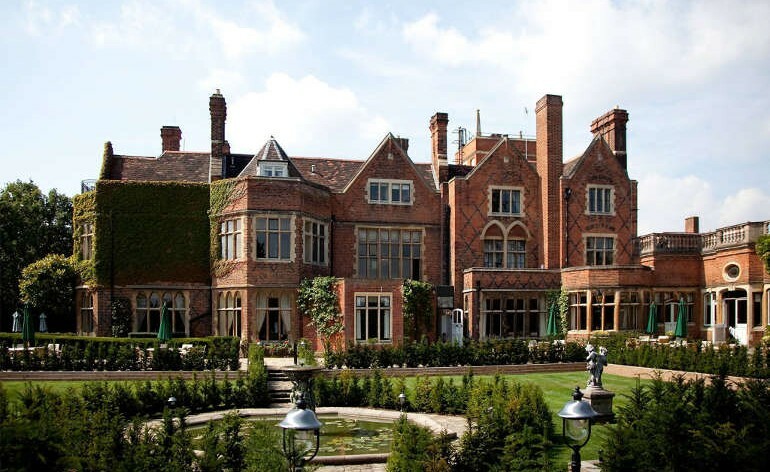 The Warwickshire Golf and Country Club was founded in 1994 with plans to build a 150-bedroom hotel. The plan was abandoned and Wootton Court was renamed The Hayes and converted into several luxury apartments. At what point Wootton Court was altered is uncertain. While the house retains its initial plan the central block has been shamefully robbed of its castellation and now looks more akin to a 1970s attempt at art deco rather than Victorian grandeur. The whole exterior has been refaced, virtually pebble-dashed, to obliterate the original brickwork and tiles. Now the house has become a sorry ‘ghost’ of its former self. ² Leamington Spa Courier (Friday 11th July 1952).